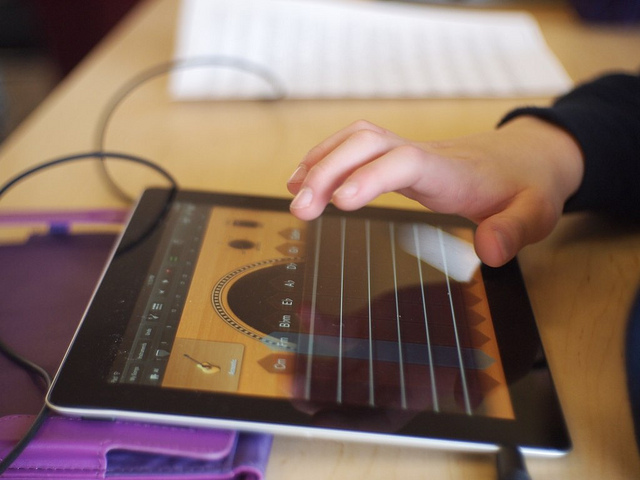 The iPad has also been widely adopted by educational institutions and students. According to Apple, a whopping 1.5 million iPads are already in use in educational programs, and students have over 20,000 education apps to choose from. Call it fanboyism if you want, but it’s a fact: young and older kids love the iPad, and its ease of use makes it a wonderful tool for learning in a pleasant way. This is what led the company to develop iBooks 2, a new textbook experience for the iPad. There are many things an iPad textbook can do that a regular book can’t, from letting students zoom in to pages, to including videos and other multimedia features. Add portability to this, and you’ll understand why this could point to the death of traditional, pricey textbooks. As it was to be expected, the iBooks 2 makes a clever use of interactivity, including built-in quizzes which let students test their knowledge. Other features also let students add notes and highlight text, something they couldn’t necessarily do with a physical textbook they hope to resell. 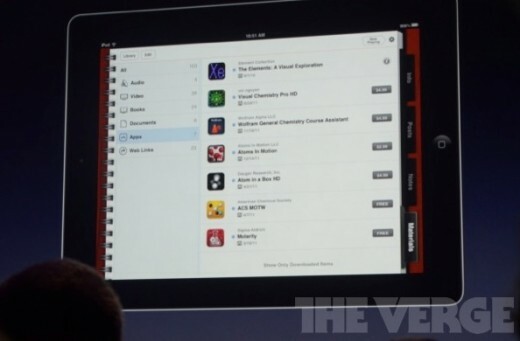 Textbooks will become a new category in the iBookstore, covering five school years for less than US$15 each. As a matter of fact, the new category is available in the US App Store, and already includes 7 textbooks. Apple has partnered with leading textbook makers Pearson, McGraw Hill and Houghton Mifflin Harcourt. Together, these three companies provide 90% of the textbooks available to high schoolers, the first age group Apple is targeting. Other Apple partners include DK Publishing and E.O Wilson, which are both launching textbooks for the iPad today. However, it goes well beyond these partnerships with publishers. As part of today’s announcement, it also launched iBooks Author, a free Mac app for authoring iPad books. Thanks to this tool, anyone will be able to create books to be published on the iBookstore (or on iTunes U if they have an iTunes U site). The Mac app iBooks Author isn’t the only application Apple is launching today; the company is also introducing an all new iTunes U app. This free iOS app will let students access iTunes U’s content in one place, which is likely to boost its popularity even further; according to Apple, iTunes U’s content has been downloaded over 700m times. Besides students, the app was also conceived for teachers, who can use it to deliver assignments and post messages to the ‘class’. It’s worth noting that the app is also integrated with the textbooks’ section Apple launched today: teachers are now able to recommend apps and textbooks they’d like their students to use. The app can also be used to deliver lectures, and partners such as Duke, Yale, MIT, HACC and The Open University are already on board.